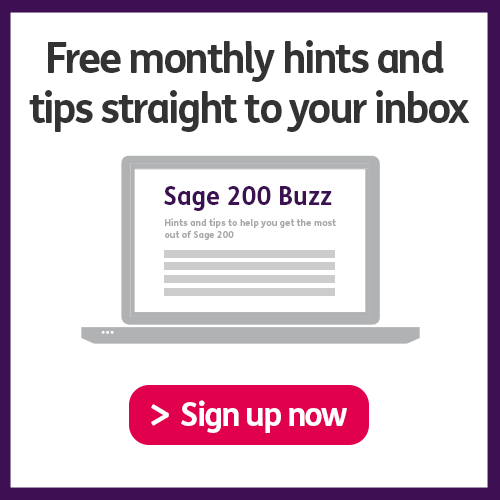 In the eleventh episode of the Sage 200 Buzz podcast, Hannah Munro and Mark Armstrong are eagerly discussing all things Purchase ordering. Join them on the vocal journey as they centre their attention on dispute invoice processing, complex invoice authorisation and bucket loads of great advice. Their eyes are firmly set on Eureka’s purchase order plus module for the add-on of the week section. If you need a way of streamlining your company’s received goods process, this is the place to be. Dissecting the various advantages and possible disadvantages, Hannah and Mark help decide whether this is the add-on for you and your business. And don’t forget, if you’re a pigeon fancier, we now accept pigeon mail…..apparently. Download a copy of the Purchase Order Plus Add-on Datasheet by Eureka.